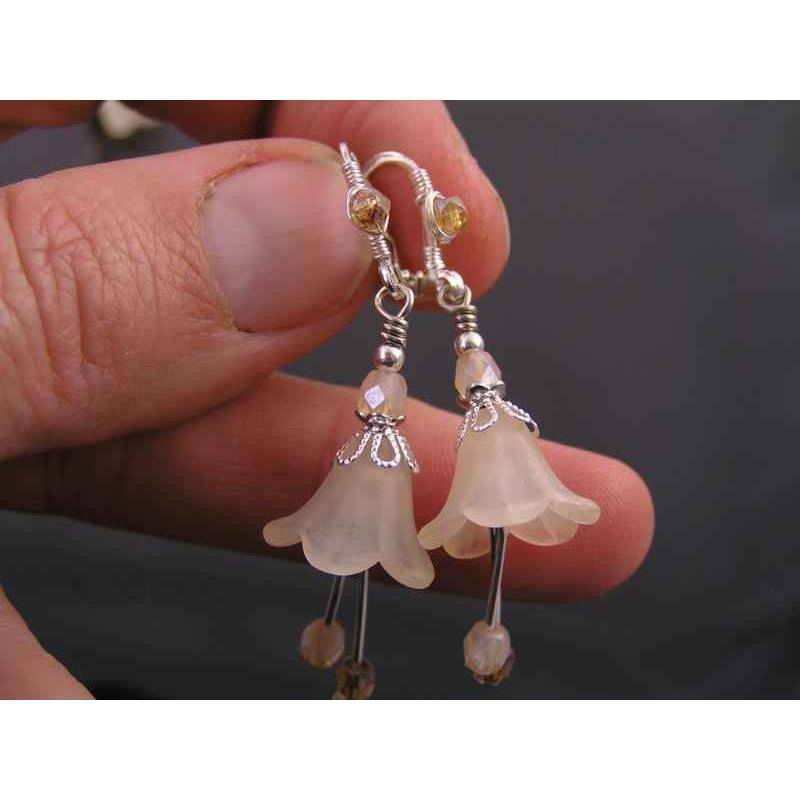 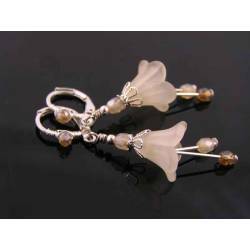 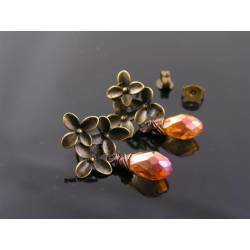 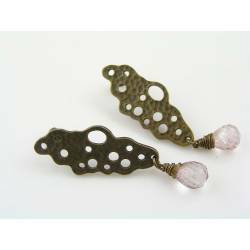 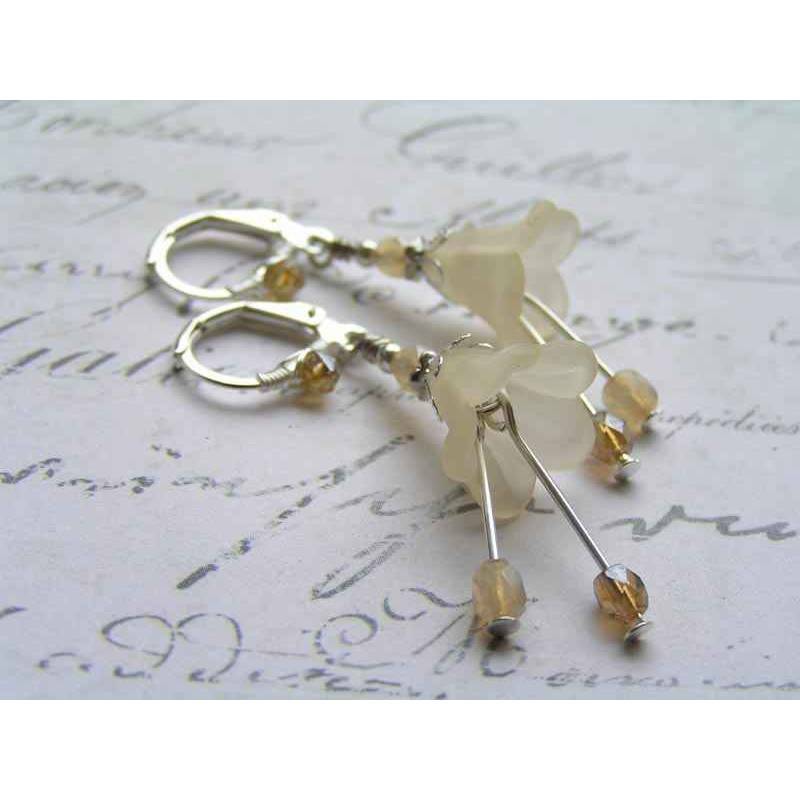 These elegant earrings combine pale champagne lucite flower beads with sparkling Czech fire polished beads. 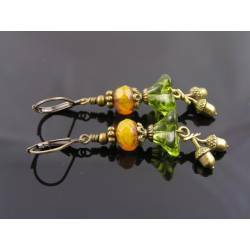 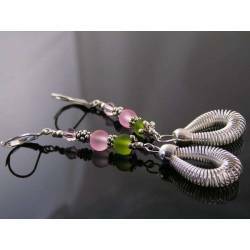 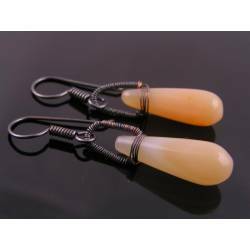 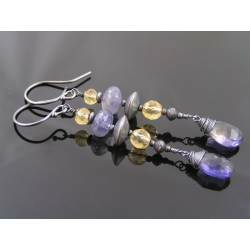 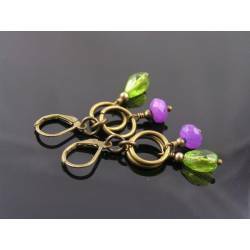 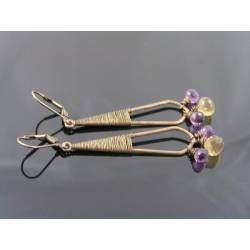 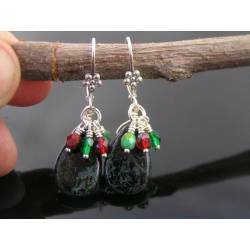 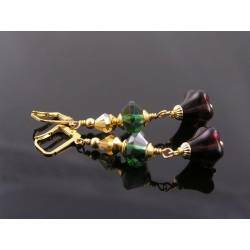 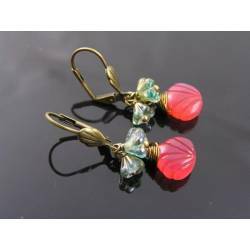 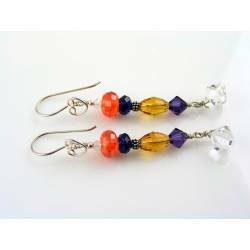 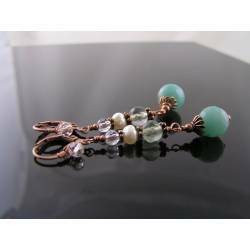 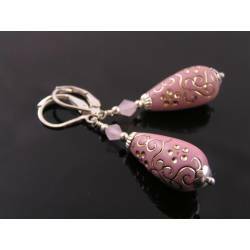 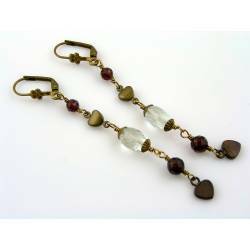 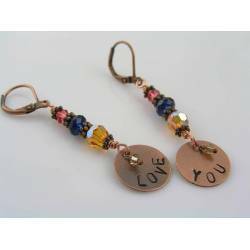 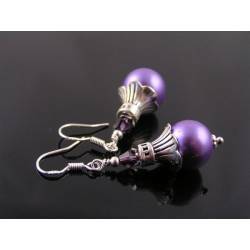 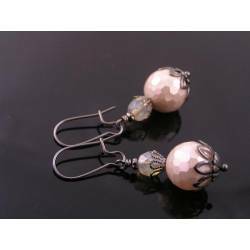 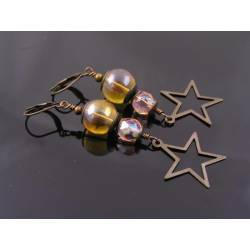 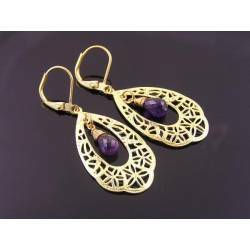 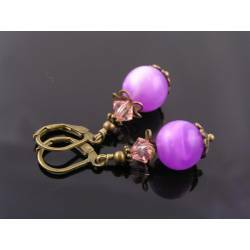 The beads are attached to lever back ear wires which are wire wrapped including another Czech bead. 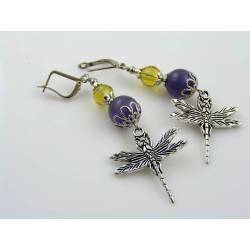 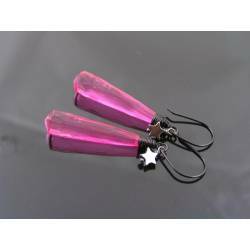 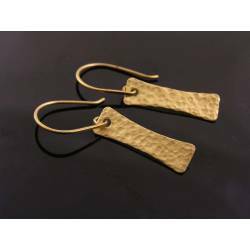 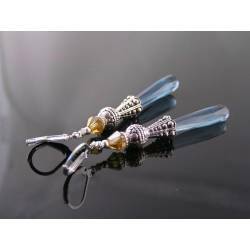 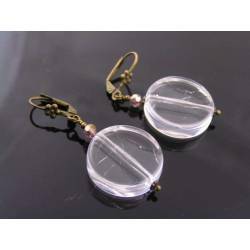 Total length is 5.5cm, all metal is silver tone.